 The Newberry College Pre-Dentistry Program helps undergraduate students planning to enter the field of dentistry to prepare for further education. Training to become a dentist is a rigorous process taking about 7-8 years to complete undergraduate and graduate coursework. Most students will complete their BS degree prior to entering the graduate program; however, students with exceptional GPA and DAT scores may apply with 90 hours of coursework. This is true for both Dentistry Programs in South Carolina, USC and MUSC. NOTE: Many dentistry programs, including USC and MUSC, expect additional coursework in the sciences, especially biology and chemistry.